The modern machine-made plate of the romantic decorated glass collection Petals makes a pleasing, romantic atmosphere. The plate enhances the presentation of food with its romantic design. The line has been designed by the NACHTMANN NextGen Designer Alvaro Uribe. The pattern of the crystal vase resembles tender rose petals, and their sequence creates a modern and extraordinary design. 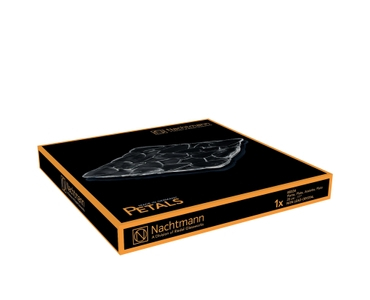 As all NACHTMANN crystal this item is dishwasher safe.